R. Dale Olson has been at the forefront of trumpet design and brass manufacturing for more than half a century. From innovative designs, intriguing associates, in-depth expertise, and a list of musical artists comprising an array of virtuosity-both musical and technical, R. Dale Olson takes us on a historical tour of designs and polymers that is, well, breathtaking… No. 7 of “The Craftsmen’s Bench” TM is resonant with the good vibrations of R. Dale Olson, enjoy! 1. How did you get your start in instrument manufacturing? Who were your mentors? My interest in technical aspects of brass instruments began during my college years at University of North Texas (then known as North Texas State Teachers College). I read everything then available, which was scant. Toward the end of my Bachelor’s degree my close friend, Bob Ferguson, asked me to go to Elkhart and Cleveland as he was planning a Master’s Degree dealing with manufacture of trumpets. Bob was a magnificent trumpet player who later became soloist with the United States Army Band in Washington for about 25 years. Bob and I left Denton, Texas and drove, in mid-winter, to Cleveland and Elkhart where we toured the Reynolds, Martin, Conn, and Buescher factories. Ironically, Bob did not complete his Masters, but this trip solidified my interest not only in manufacture, but design. After receiving what I later learned was the first Masters Degree in Trumpet Performance from UNT (1957), I returned home to Galveston, Texas. Soon thereafter, while touring with the Paul Neighbors band, I met Renold Schilke in Chicago, and twice returned for extended periods working with Ren, primarily on trumpet design. Although I did not fully agree with Ren on many issues, it was he who first introduced me to the writings of David James Blaikley and Victor C. Mahillon. In 1961, at age 25, I was hired as Director of Research for the firm of F.E. Olds and Son, in Fullerton, California. It was there that I first met and became close friends with Zig Kanstul. My knowledge of brass instrument production was only superficial at the time, and it was Zig from whom I learned a great deal. Even now, with me at age 81, and Zig nearly 87, every visit with him is analogous to taking a Master Class! While at Olds, I had the very good fortune to have worked with the then President of the Acoustical Society of America, Dr. Robert W. Young, with the U.S. Navy Underwater Acoustics Lab in San Diego. Dr. Young was immensely knowledgeable, had earlier been with the C.G. Conn Ltd. Acoustics Lab in Elkhart, and was engaged in continuing research on brass instrument design. Young, with Alan Loomis, was the inventor of the StroboConn, a device which he and I used extensively in intonation testing. The most profound influence on my theoretical thinking was William T. Cardwell of Whittier, California. Bill was engaged in research for the oil firm Chevron Research, but had the most extensive acoustics lab in his home of any musical instrument manufacturer in the United States. 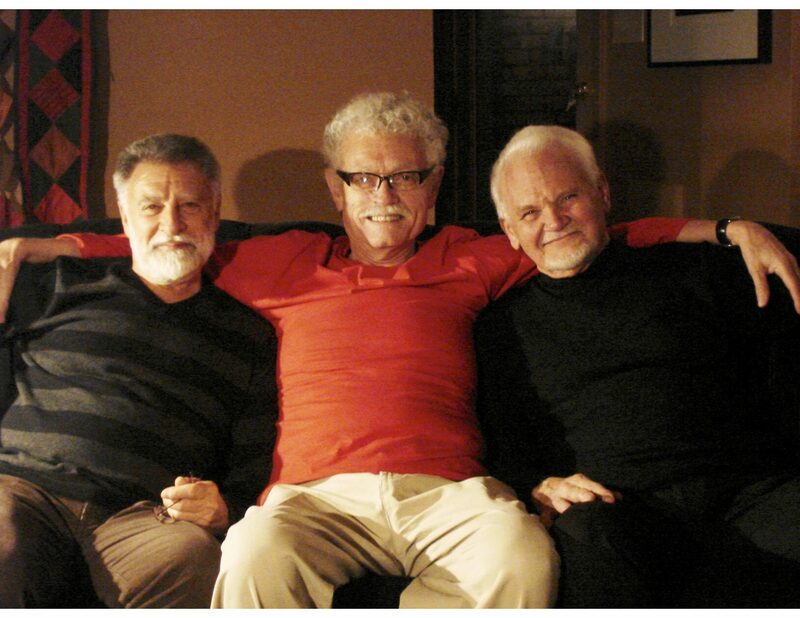 For over thirty years, Bill and I collaborated in research activities related primarily to the trumpet. Bill died at age 94 several years ago, but I continue to regard him as perhaps the most knowledgeable authority on trumpet acoustics of the 20th. Century. My trumpet teachers, all of whom were positive influences, were Everett James (Harry’s father), with whom I studied while still in high school, John J. Haynie at the University of North Texas, Ren Schilke, John Clyman of MGM Studios, and Vladimir Drucker. 2. What was your first big project? Expertise? 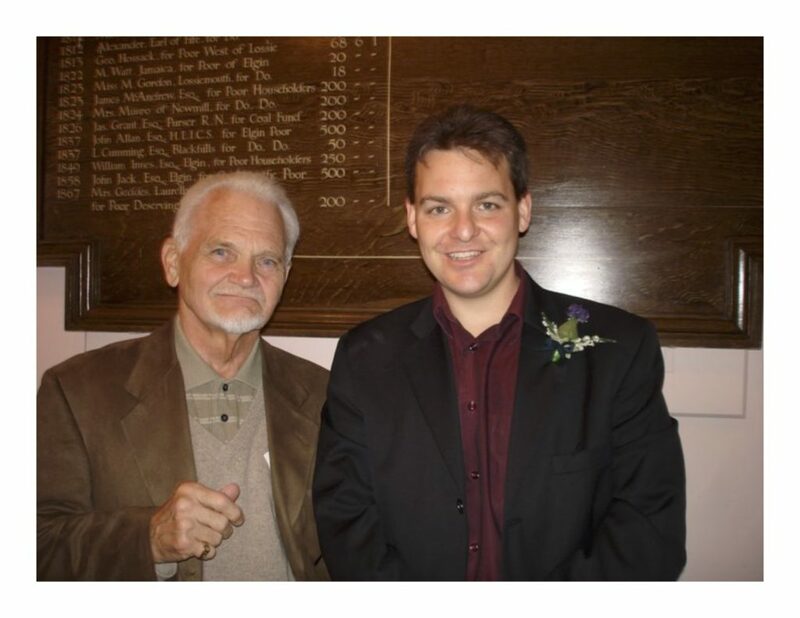 When I was being considered for the position at Olds, I was interviewed by Maurice Berlin, CEO and Founder of CMI (Chicago Musical Instrument Company), the parent company of Olds, and other musical instrument makers. Mr. Berlin asked if I could design a “C” trumpet. I assuredly understood the acoustics underlying the instrument but had never actually designed a C trumpet. My confidence level was such that Mr. Berlin recommended my employment. After a year or so with Olds, Zig Kanstul and I collaborated to design not only a trumpet in C, but also in D, and Alto F. Olds produced these instruments for several years with excellent response from musicians. However, in context, CMI became a troubled firm after Mr. Berlin retired, and Olds ceased operations in December, 1979 about nine years after I formally resigned from the firm. The alternative pitched trumpets were never accorded the attention they deserved, partially as a function of the turmoil within CMI. Today, they are all collectors’ items. 3. Which two or three things that you were a part of really turned out well? What was your part in each? It was my good fortune, probably accelerated by a lifelong intense work ethic, to have been involved with numerous projects that “turned out well” professionally. One was the development of excellent trumpets produced by Olds in the 1960s referred to as the “Custom” line. Zig and I again worked together on these and, although they are now collector items, I still receive communications from players who claim their Custom is the finest horn they have played. In the early 1970s I was awarded a U.S. Patent on an interesting trumpet, produced by Olds and Reynolds (also part of the CMI family), the Olds “Pinto” and Reynolds “Ranger” trumpets. These were modular horns, with plastic encased valve clusters. Again, the demise of these instruments may be traced to declining issues at CMI. My wife, Diane, and I received a U.S. Patent on a mute which was sold by Conn-Selmer, the “BACH” mute from ABS plastic. We have been producing this design for over 46 years now. Mr. Williams produced excellent instruments, and his reputation was very high. However, not being a trombone player, I was not intimately familiar with the details of these horns, nor of their design. Earl held at least one U.S. Patent (#2,439,997) granted on April 20, 1948, and had worked for Frank E. Olds long before producing his own instruments. Ironic is that Earl left the Olds firm in 1928, the same year in which Frank E. Olds died at sea on a cruise ship off the coast of Acapulco, Mexico. At one point in his career, Mr. Williams partnered with Spike Wallace, a trombonist with the Los Angeles Philharmonic, making Wallace-Williams trumpets, now very rare items. My knowledge of Frank E. Olds and all of his instruments is considerable in that I have long been engaged in writing a book on the subject. Frank’s first trombones have traditionally been given the date of 1910, and those with the patent date of 1912 are rather well known. Without question, there were Olds trombones produced long prior to either 1910 or 1912. In later catalogs of the Olds Company, Reginald Olds, Frank’s son, always gave credit to his father and implied that the 1912 patent was one of Frank’s inventions. In reality, that patent (U.S. # 1,021,890) was granted to an individual, George Riblet, about whom little is known, and the relationship between Olds and Riblet is not documented. Many outstanding trombone players were associated with the Olds brand over many years. Of course, Frank Olds was a trombone player. Roe Plimpton was a fine player who worked for Olds for many years as a mouthpiece maker. It was Roe who once constructed a foot pedal bellows device that supplied air through a long rubber tube, into his mouth that enabled him to hold a note indefinitely! Sherm Sheld was a “master trombone maker”, according to the terminology existing within the Olds Company. I was fortunate in having known Sherm very well. Upon his death his widow gave me photographs related to the Olds Company, and his personal work related note book detailing production information on Olds trombones. The story of Frank and Reginald Olds, their instruments and company is fascinating, but as yet not fully told. 5. Which instrument manufacturers did you consider under-rated? I consider to be “overrated” as that list is heavily populated with firms that either over-advertise, over-promote, or make outlandish and unsupported claims. Within the trombone world, I do not have the expertise to respond to this question. Restricting this to trombone players, I think the strongest recall is my work with George Roberts. Zig was the primary individual who worked with George in the design of the Roberts’ Bass Trombone. However, it was often my responsibility to work with George when deciding which leadpipe to use and in general testing. The scenario was something like this. Zig would make a leadpipe and give it to George for trial. George would play it, but then take it to someone in L.A., perhaps Dominick Calicchio, Bert Herrick, for “modification”. George would then return to the Olds factory and engage in an extended “testing period” in which he would move from one leadipe to another asking our opinion. Zig would typically excuse himself from this ritual leaving me to deal with George. The only thing that made this exercise in vacillation tolerable was the respect and love we all held for George. Also related to the Roberts’ Bass Trombone was an incident in which a secretary who filled orders for parts asked me for advice concerning supplying parts for the Roberts trombone. Someone in Canada was ordering an excessive amount of parts for the Roberts trombones. Upon analysis, it came to light that the cumulative cost of parts to construct a Roberts model was considerably less than the finished instrument. So, someone was ordering parts, soldering them together, and selling horns!! This was stopped, but we were never fully aware of how many ersatz George Roberts bass trombones were out in the market! 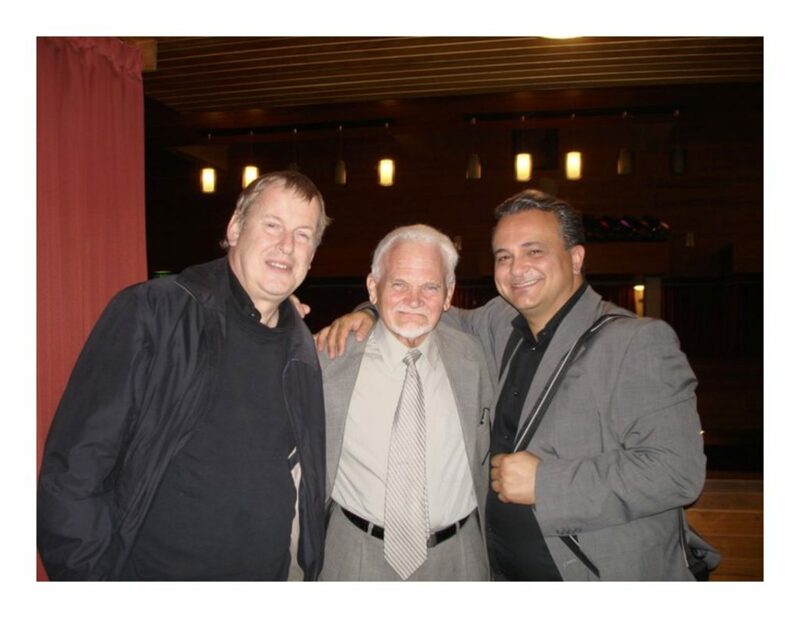 Aside from trombone players, I was privileged to have worked with Raphael Mendez rather closely on various issues. I retain to this day, a “reel-to-reel” tape of Ralph and me playing duets at his home in Encino. The timing was such that I was able to work with many L.A. studio players of the day. 7. What are some of your favorite artists? My favorite artists! This could be a very, very long list, but I will exercise judiciousness. I have a deep respect for all brass players who have shared the experience of sitting in a practice room alone and trying to figure out how to make music using a hose and funnel! Being a trumpet player and biased toward valves, I have always been appreciative of Bob Brookmeyer’s valve trombone jazz playing. On balance, the so-called “cornet virtuoso” era has forever held particular interest, so trombone virtuosi like Simone Mantia represent that genre. Concerning preferences for trumpet players, many of the late 19th. and early 20th. Century cornetists are treasured, the epitome being my former teacher John J. Haynie. Maurice Andre, of course, Raphael Mendez, Chet Baker, Fats Navarro, Bix Beiderbeck, Bunny Berigan, and Harry James. A friend who teaches trumpet at the Paris Conservatory, Clement Saunier, is beyond belief! 8. With Kanstul, Shires, and Edwards, the US trombone scene is experiencing a bit of a Renaissance. What do you make of it? This question is profound, yet opens a discussion with many nuances. I must defer to my primary area of expertise, the trumpet and its current state, and hopefully some of this will generalize to trombones. Renold Schilke said to me in 1958, “there is nothing new in trumpet design in the past 50 years”. Ren was referring to the original French Besson trumpet of the earlier era and his opinion that no significant improvements had been made since. I think if Ren were still with us, he would make the same comment, but substitute “100 years” for “50”years. In 1958 I would have probably agreed with Ren, but today I would disagree, with conditions. For the past twenty or so years the trumpet world has been witness to a series of somewhat bizarre instruments whose primary raison d’etre appears to be attracting attention, not advancing the art of music. The American architect Louis Sullivan admonished that “form follows function”. Many contemporary trumpet makers, oblivious to this profound dictate, produce instruments of inexplicable forms that serve absolutely no discernable function. Brass instruments of the year 2016 do possess elevated mechanical elements over their counterparts of 1916. Acoustically, modern trumpets do not claim superiority to the French Bessons of the early 20th. Century. Intonation charts of many contemporary trumpets are very similar to those of horns made one hundred years prior. There exists, today, a rather abbreviated list of highly knowledgeable individuals who are involved in profound, yet esoteric, aspects of brass instrument design, yet most makers are oblivious to this research. Legitimate research is subtle and often unobvious, yet makers must continually produce “new” models simply to compete in the market. There is simply insufficient time for a person to manage even a small shop and still engage in research, so true research comes in second. Empirical design (known as “cut and try”) has long been the dominant process by which brasses, and probably all wind instruments, have been developed. 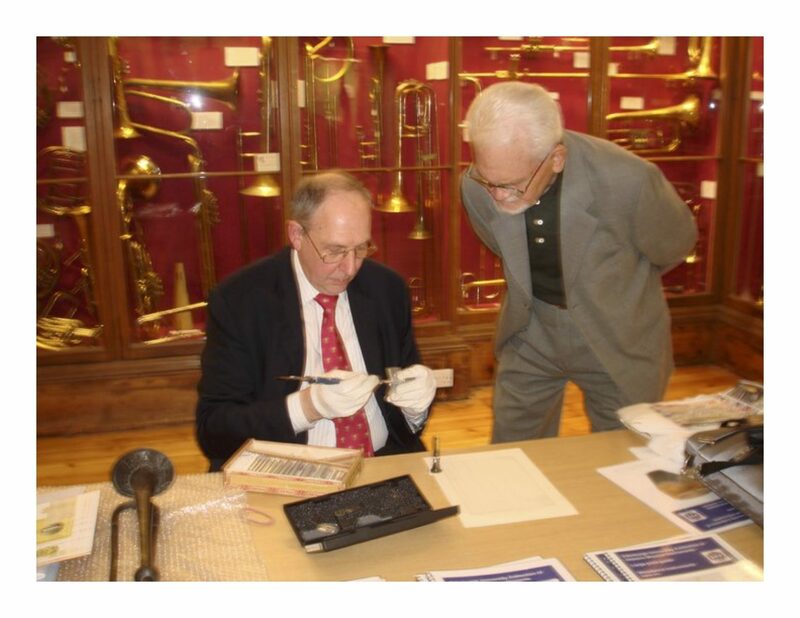 Concerning scientific work, Richard Smith (of Smith-Watkins trumpets in the U.K), is one of the most knowledgeable authorities in the world regarding brass instrument design. Paraphrasing Richard, the manufacturers, or at least their advertisements, are the least reliable source of information on design of brass instruments! To return to the original question, however, both Edwards and Shires have excellent reputations and I can personally attest to the high level of quality of everything Zig Kanstul has done. At least for most trombones, we are spared the grief of being burdened by valves and the burden they impose upon design. Interested in more “Craftsman’s Bench” tm Interviews?